Most of these I had no idea about, so now I need to try some! I didn’t know that Epsom Salt could do so much. I have a big box and it just sits here! Thanks for all the suggestions. I didn’t know all this! Thanks! Oh wow didn’t know it has a lot of uses. Thanks for the info. I love Espom Salt…and now I have even more reason to!!! This is a great list! 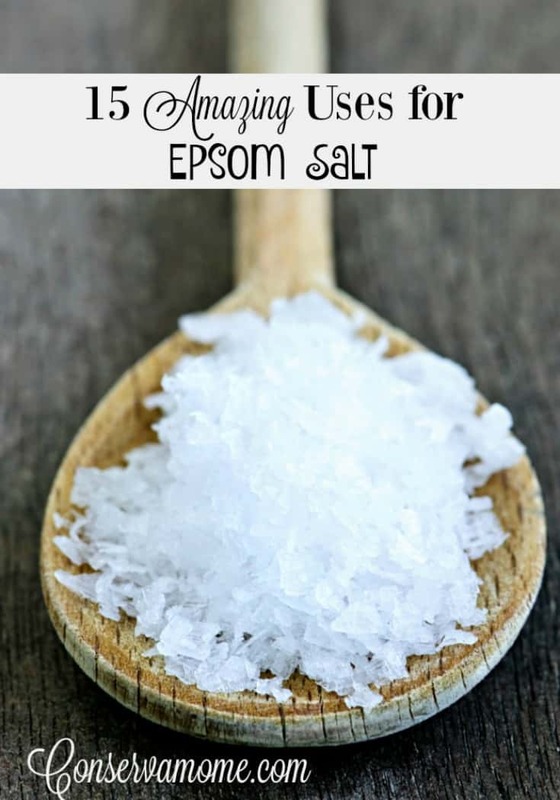 I just used Epsom salts as a foot soak before a home pedicure to make my feet summer ready, worked so well!! I have always kept a box at the ready , my mom always used it as a poultice on my ingrown toenail when I was a child. It tooknreddness and swelling down after wearing over night. wow! i had no idea that it did so much. ill have to get some. This is amazing I didn’t kw that I love reading ur blogs. The splinter trick is helpful because I’m terrible at getting those out with tweezers. Who knew there were so many uses for ordinary table salt? Thanks for sharing! Sorry, I meant epsom salt. Oooh I had no idea!! That sunburn/itch remedy might save me this Summer!! I get the worst sunburn itch EVER!! Wow! So many uses that I never knew about.